When creating a huddle, you are able to use personalized images or logos to align with your branding efforts. 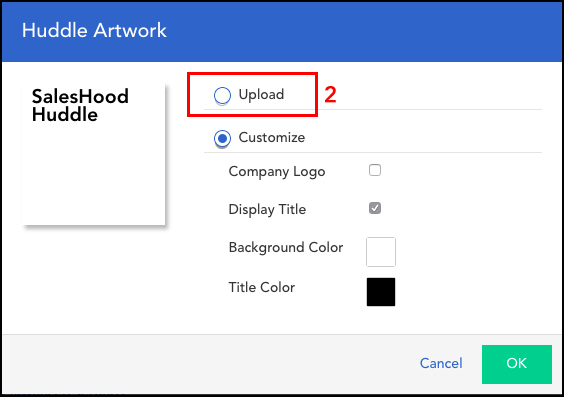 Step 1: On the huddle publish page, navigate to the category for Huddle Artwork and click the + Add new artwork tab. 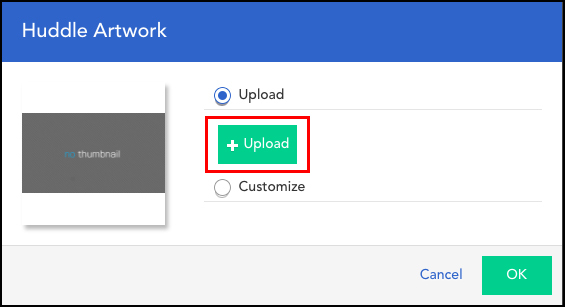 Step 2: From the pop-up menu, check Upload. This will automatically shift the viewpoint to include an Upload tab to click. 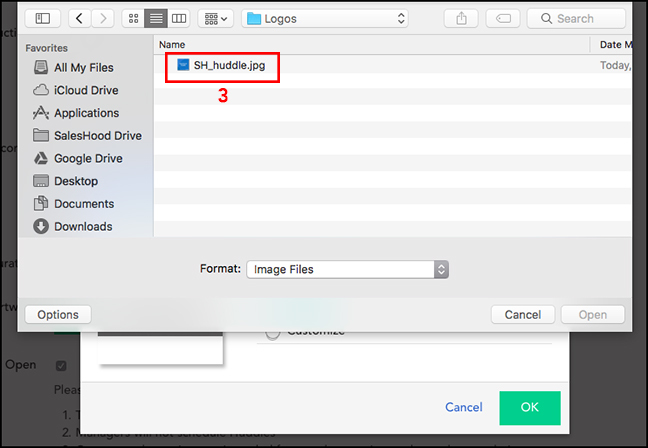 Step 3: Locate the image file from your computer then click OK when finished. 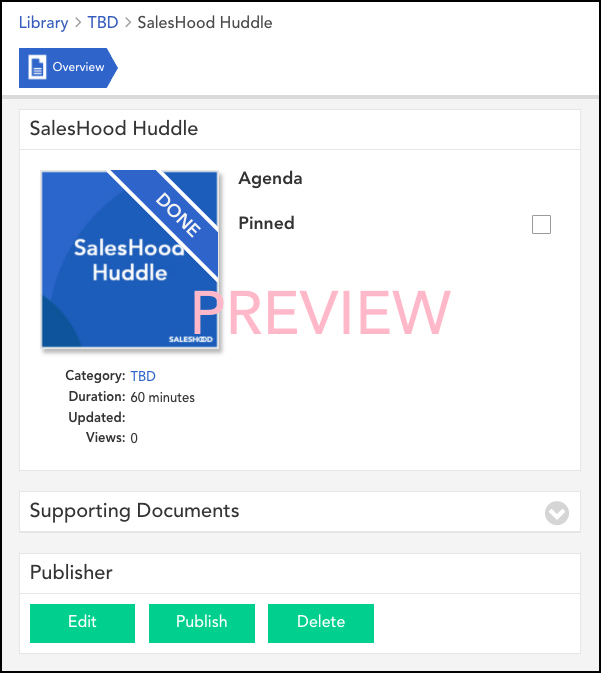 Step 4: Click Save Edits and select Preview to see how the artwork will look on the Overview page of your huddle.